leading authority on kata. 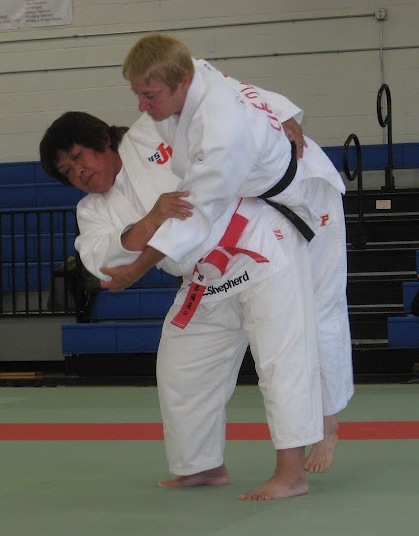 She is now a 7 th dan, the vice-chairman of USA Judos committee on kata and the chairman of the US Judo Federations kata committee. She frequently conducts clinics on kata and will be leading one in conjunction with the upcoming Senior National Championships in Irving, TX, next Friday, April 20. For more on that, go to KATA CLINIC. The seminar will include testing for certification as a national-level kata judge. This entry was posted on April 12, 2012 at 6:00 am and is filed under Judo Clinics. You can follow any responses to this entry through the RSS 2.0 feed. You can leave a response, or trackback from your own site.